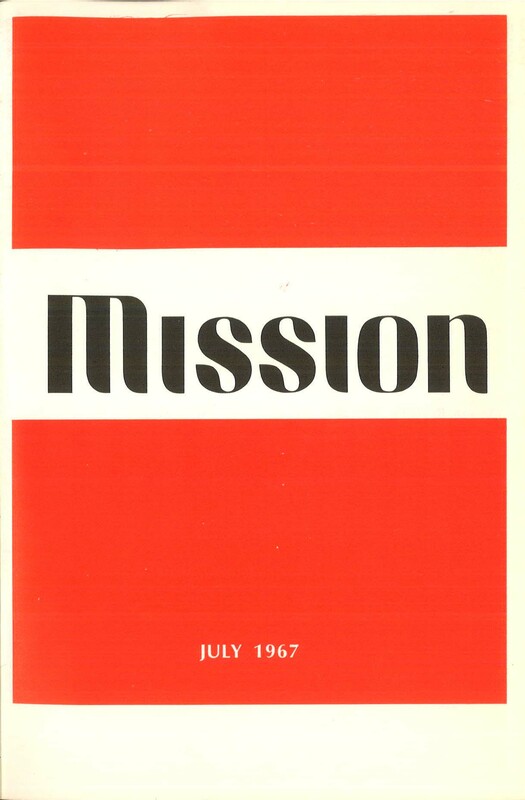 Launched in 1967, Mission Journal was a forum for theological reflection on issues such as race, gender, war and peace-making, the place of the church in urban society, the nature and implications of Restorationism and critical Biblical and historical scholarship. His oral history compiles reflections from some of the key persons involved in Mission from its founding to its closure in 1988: Dwain Evans, Don Haymes, Richard Hughes, Victor Hunter, Warren Lewis, and Thomas Olbricht. Olbricht provides in this essay, New Journals for the Sixties: Restoration Quarterly and Mission, an extended reflection and assessment of the impact of these journals. Drawing from his deep insider involvement in Mission and from Abe Malherbe’s in Restoration Quarterly, Olbricht situates them within the journalistic, editorial, theological and historical contexts of the 1950s-1970s Churches of Christ. Digitization of Mission is underway. Fully searchable and downloadable PDFs of every issue will be available at http://digitalcommons.acu.edu/missionjournal. Mission on ACU DigitalCommons will contain the full run of the journal, from volume 1, number 1 issued in July 1967 to the final issue, volume 21, numbers 5-6, issued in December 1987-January 1988. This digital archive will ensure Mission is widely and easily available for historical research and continued reflection on the issues it raised and discussed. The digitization initiative is led by Greg McKinzie, Executive Editor of Missio Dei Journal and Bob Turner, Librarian at Harding School of Theology in partnership with ACU Special Collections Librarian and Archivist Mac Ice. For information on how you can contribute to this initiative, please see this page at Missio Dei Journal.